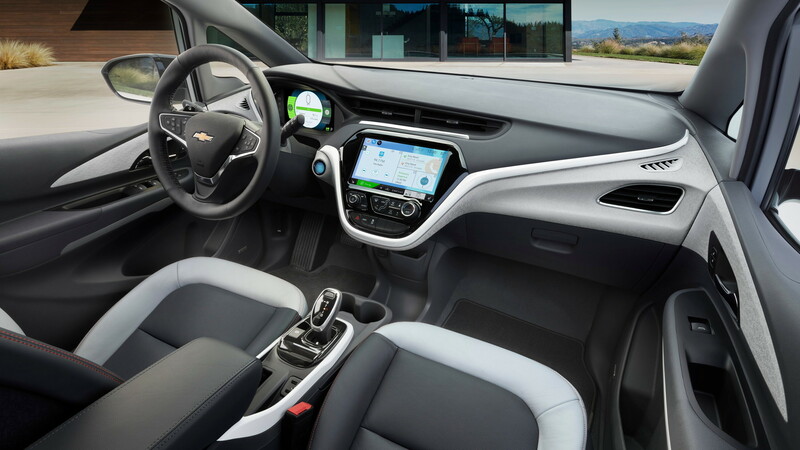 Chevrolet’s Bolt EV was unveiled to the world during last month’s 2016 Consumer Electronics Show, though at the time we weren’t treated to any of the car’s specs apart from the much-hyped 200-mile driving range and $30,000 price tag after incentives. The Bowtie brand recently rectified the situation by giving us a look at the powertrain that will feature in the Bolt EV. A single electric motor is mounted under the hood and spins the front wheels only. 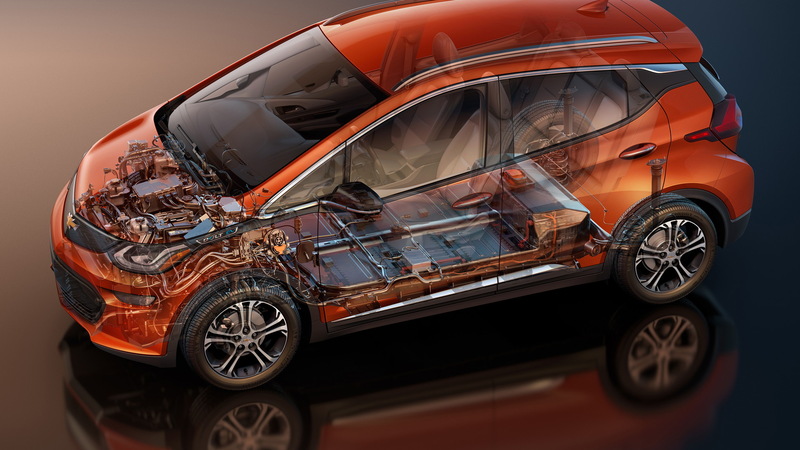 It delivers 200 horsepower and 266 pound-feet of torque, which for a compact hatch like the Bolt EV should translate to lively performance. In fact, combined with a 7.05:1 final drive ratio the motor is said to be capable of propelling the car from 0-60 mph in less than seven seconds. Drive is sent to the wheels via a system known as the Electronic Precision Shift system. 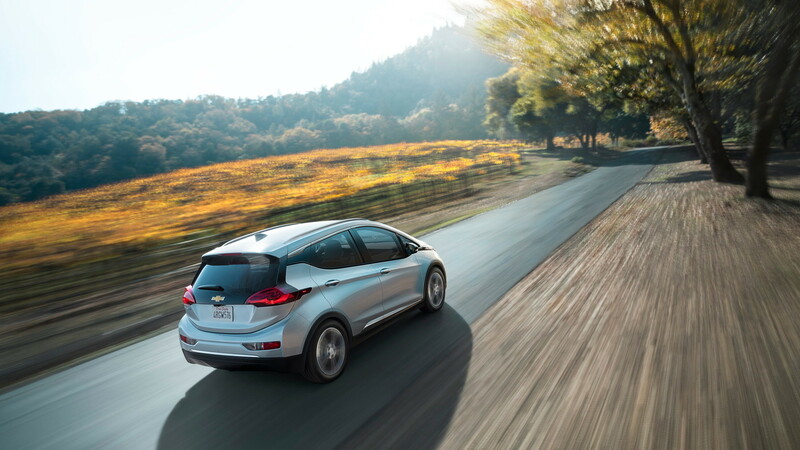 This shift and park-by-wire system replaces a conventional transmission and sends electronic signals to the Bolt EV’s motor to manage precise feel and delivery of power and torque, based on drive mode selection and accelerator inputs. There’s also an advanced regenerative braking system that will allow Bolt EV owners to drive the car using one pedal. Through a combination of increased regenerative deceleration and software controls, one pedal driving enables the car to slow down and come to a complete stop without using the brake pedal in most situations (emergency stops will still require the brake pedal). The severity of the regeneration can be adjusted using a Regen on Demand paddle located on the back of the steering wheel. The recaptured energy will go to charge a 60-kilowatt-hour lithium-ion battery stored in the vehicle floor. The battery, developed together with LG Electronics, has 288 individual cells and weighs a hefty 960 lb on its own. Special cooling systems help the battery operate at its optimum temperature, which is said to result in improved performance as well as longevity. The battery is also backed up by an 8-year/100,000-mile limited warranty. The battery system is mated to a standard 7.2-kilowatt onboard charger for regular overnight charging from a 240-volt wall box. A typical commute of 50 miles can be recharged in less than two hours. 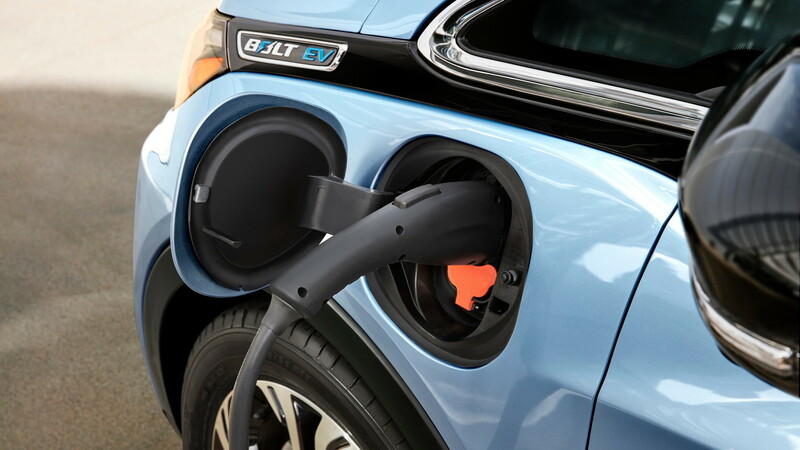 The Bolt EV also features an optional DC Fast Charging system using the industry standard SAE Combo connector. Using DC Fast Charging, the Bolt EV battery can be charged up to 90 miles of range in around 30 minutes. 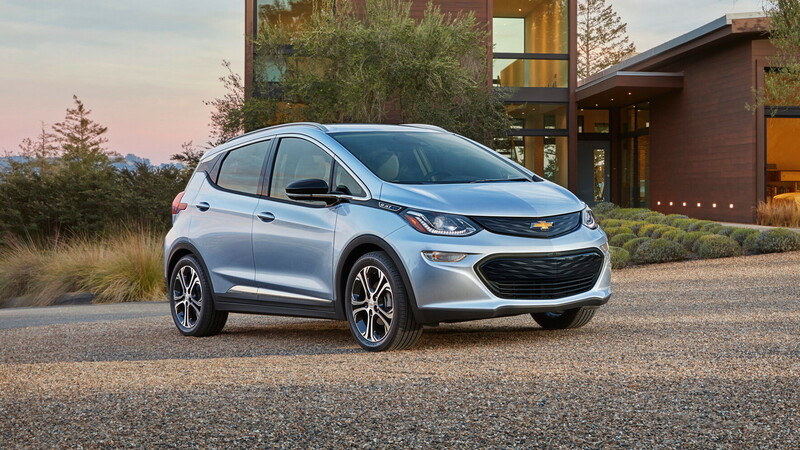 Chevy has also revealed the version of the Bolt EV that will be sold in Europe as the new Opel Ampera-e. Some readers will recall that the first-generation Chevy Volt was also sold in Europe, where it was known as an Opel Ampera. The Bolt EV is set to go on sale later this year while the Ampera-e will only reach showrooms in Europe in 2017. For some initial drive impressions, read the drive report on a Bolt EV prototype over at Green Car Reports.